This is a guest post from Robert Mortensen. 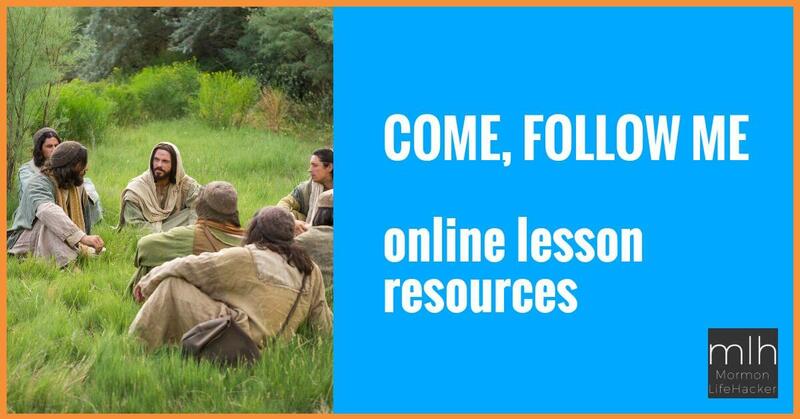 He’s been using it to plan routes for himself and his son for fast offerings, leadership visits, and more. 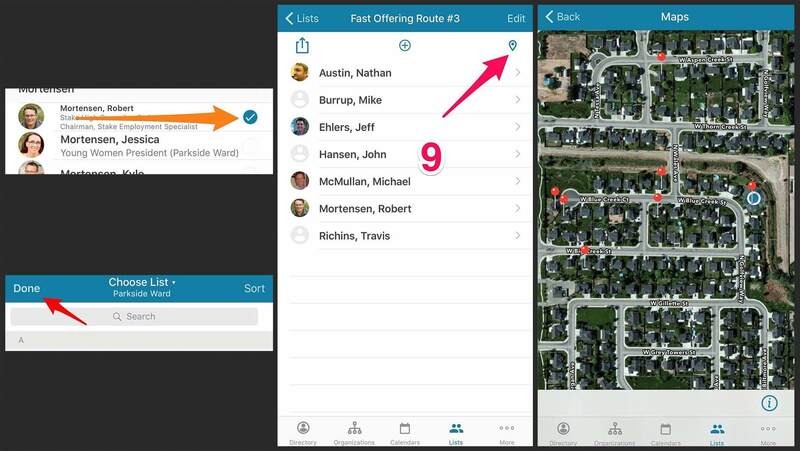 When I help my son with collecting fast offerings or Friends of Scouting donations, we’ve been using the LDS Tools app to create a “list” of each home we are assigned to visit. We’re able to create a map within the app, which gives us an aerial view to help us plan out the most efficient driving route. I’ve used this to map out bishopric and Elders Quorum visits too. 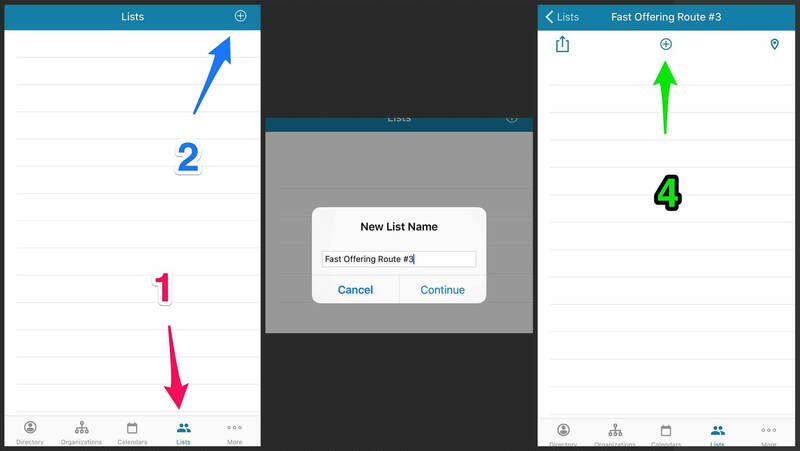 To create a new list, tap the plus sign within a circle at the top-right of the screen. Name the list. For example, “Fast Offering Route #3”. Tap on the plus sign within a circle at the top middle of the screen to add households to the list. Search for the households you want to add to the list by typing in the name or scrolling through the ward directory. Tap on the name you want to select. You only need to select one person in a household. Once selected, it will show a white checkmark within a blue circle to the right of the name. Repeat steps 5 and 6 for each household you want to have on the list. Once all the names are selected, tap on “Done” in the top left corner. Tap on the map balloon icon on the top right of the app. This will plot all the households on your list on a custom map indicated by red pins. From this map, you should be able to figure out a convenient driving route. It doesn’t suggest a route; you’ll have to figure that part out on your own. You can tap on the red pins to see the name corresponding to the household. With the name pulled up, you can even get navigation help if needed by tapping on the icon of a blue diamond with a right turn arrow. It takes you to Google Maps where you get the navigation assistance. If you use Android, the process should be similar, but will look a little different. Is this helpful? What will you use it for? Let us know in the comments.